BOLD laser Automation: Recent events concerning the Flu virus, have demonstrated to the world the significant potential of rapid increases in death and illness among all age groups and even among the healthy population when a highly infectious influenza virus is introduced. Mass casualties due to a pandemic naturally require preparedness and response planning well before an outbreak. One course of action to prevent a pandemic outbreak or reduce the impact of a bioterrorist event is the use of isolation or quarantine facilities. The first level of isolation or quarantine is within the personal residence of the person exposed or infected. In the case where the specific virus is extremely contagious, and its onset of symptoms is rapid and severe, there will be a need for the deployment and setup of larger self-contained quarantine facilities. 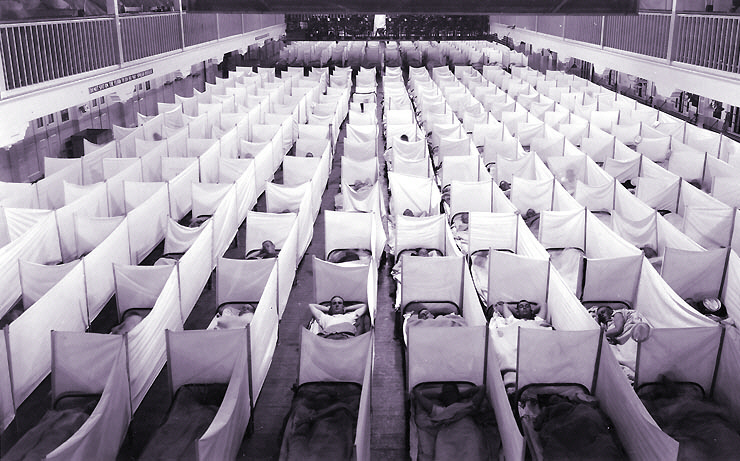 Such facilities are used to house infectious individuals to minimize the exposure of susceptible individuals to contagious individuals, especially when specialized care or treatment is required and during the viral shedding period (5 to 7 days). These types of facilities need non-shared air conditioning, heating and ventilating systems where 100% of air is vented to the outside through a series of disinfection systems and staged filters.